When it comes to your writing, a publisher’s decision can happen quickly. Often, editors know within the first two minutes of reading whether your manuscript is worthy of pursuing, or not. That may sound harsh, even unfair. But after 40-plus years in writing and publishing, I know it’s true. That’s why I preach ferocious self-editing. All writing is rewriting. Revision separates successful writers from wannabes. That’s where editing software like ProWritingAid can be helpful. Note: This post contains affiliate links. If you purchase ProWritingAid, I get a small commission at no extra cost to you. If you’re not yet an accomplished self-editor, a tool like ProWritingAid can help you produce a manuscript you feel confident about submitting to an agent or publisher. It reviews and analyzes your writing for flaws, inconsistencies, and readability. It can generate 25 different reports — each analyzing your writing for a different flaw. ProWritingAid can be used with Microsoft Word, Scrivener, or any other program you use to write your manuscript. ProWritingAid’s strength lies in the reports it can generate about different aspects of your writing. It even allows you to choose what style of writing you’re doing and suggests appropriate edits. ProWritingAid’s toolbar shows the reports you can choose. The premium version allows 25 different reports, while the free version (pictured below) offers 22 of the 25. This toolbar may seem overwhelming until you learn what each report analyzes. So I’ve asked my team to briefly explain each of these tools. This report catches words that weaken your writing. This includes those that may be used in everyday conversation but are on-the-nose and don’t move your story along. “She shrugged her shoulders.” What else would she shrug? If this is a new term to you, it simply refers to sentences that get readers stuck because they contain needless words. ProWritingAid refers to these as glue words. Points out duplicated words and phrases. Generates a graph of sentence lengths so you can identify where you might want to add variety. Overuse can make your writing repetitive. This report identifies the pronoun percentage so you can review your usage. This report generates a ‘transitions score’ based on the percentage of sentences that contain one. ProWritingAid recommends maintaining a score of at least 25%. This check includes spelling, capitalization, punctuation. Slow passages cost you reader interest. The report identifies such sections, so you can address them. Suzie said. Ben shouted. Jamie whispered. Dialogue tags identify the speaker, but too many slow your story. This report identifies tags so you can determine whether each is necessary. I coach writers to choose the normal word over the obtuse. This check helps you identify words you might want to change. This report suggests replacement words but is programmed only for shorter pieces. This report helps identify and fix complicated writing. If you need a definition, click here. I urge avoiding alliteration.. This checks for words that sound the same but are spelled differently—like break and brake. This is a form of what I call writtenese, language that may sound fancy but is pompous. This report creates a list of abbreviations formed from the initial letters of a group of words—like USA, CEO, and NFL. It allows you to make sure they’re all correct. Highlights words of three syllables or more so you can decide whether you might want to simplify them. Helps identify various stylistic techniques. This Check lets you choose which ProWritingAid reports are most helpful so you can use your favorites. This report lets you create custom rules for ProWritingAid. You can tell the program to check specific words you tend to overuse or get wrong. Identifies copied material so you can properly credit it to the source. It can serve as a word processor as well as an editing tool, but as I said, you can also apply it to the software you now use for writing. So how should you use ProWritingAid? You might want to try it to analyze your short pieces to see how it works for you. 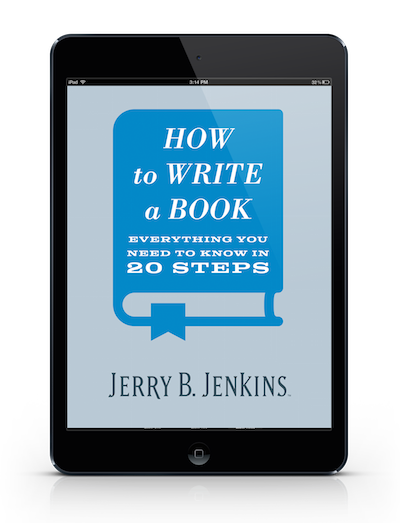 Ideally it will teach you better writing habits. Here’s how the Consistency Check worked in Google Docs for one of my recent blog posts. And here’s how it looked in the ProWritingAid web app. ProWritingAid allows you to generate a few select reports during a free trial of 14 days. The free version only allows you to run reports for a limited number of words. The Premium version gives you access to all the reports on manuscripts of unlimited lengths. I advocate using all the tools at your disposal to improve your writing. Your goal for a program like ProWritingAid should be to have it detect fewer mistakes with each new piece you write. To check it out, find their website here. Do you use ProWritingAid? Let me know of your experience in the Comments.